By the time you get to 46 you have tried an awful lot of eye creams and eye products (well I have), so when you find a good one you can really feel and see a difference! 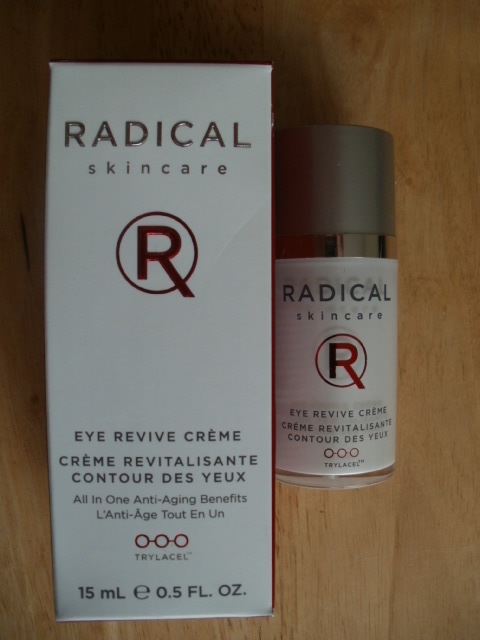 This 4 in 1 Radical eye cream combats puffy eyes which a get a lot, dark circles, and fine lines and is the best to date I have tried. It took down the puffiness on my upper lids more or less straight away, brightened up my eye area all around. Packed full of High Performance Active ingredients and with a lot of science behind this cream, it has Gautline which helps the regeneration process for smoother more radiant skin. Green Coffee with fights radical and is a powerful antioxidant. Swiss Apple stem cells which protects the longevity of the skin cells and combats ageing. Malachite a stone extract with strong anti-oxidants to detoxify and protect. A lot of eye creams can be too heavy, oily and claggy on the eye area but this is so light and quickly absorbed you didn’t know it was there. Your whole eye area just looked a lot healthier, younger and fresh. Just one 1 pump morning and evening is enough for my whole eye area I am hoping this lasts me a while which will make the price tag a lot more worth it as it is very addictive and something I wouldn’t want to be without now. 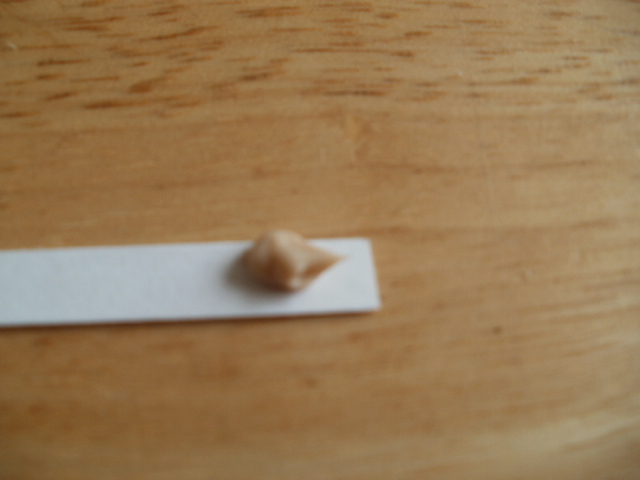 It is skin tone coloured with some brightener in. I could feel it gently tightening all around my eyes and very importantly it was so lightweight, easily absorbed and light on there eye area! This eye cream really has done wonders for my eyes. It has taken the tiredness look away too that I have a lot. It retails on QVC @ £77 but it is waitlist only on there, it is sold on the Radical website, Space NK (always a good sign i think). 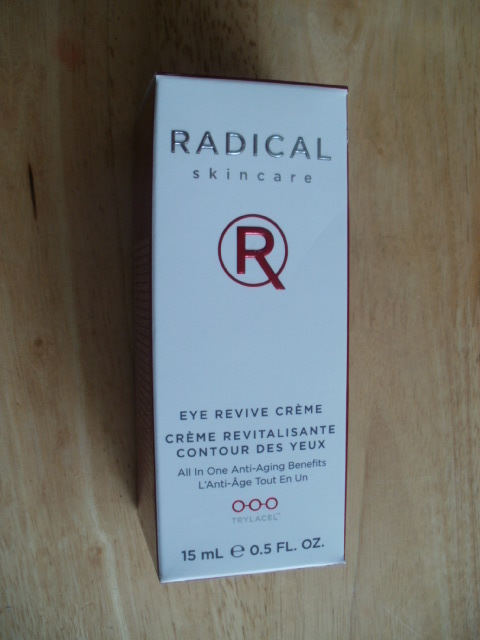 It is in stock on Feel Unique/ Radical Eye Cream for now! Would love at some point to try more of this brand, in particular the ex-foliating pads as I have heard really good things about them. One for my wish list for sure :-). 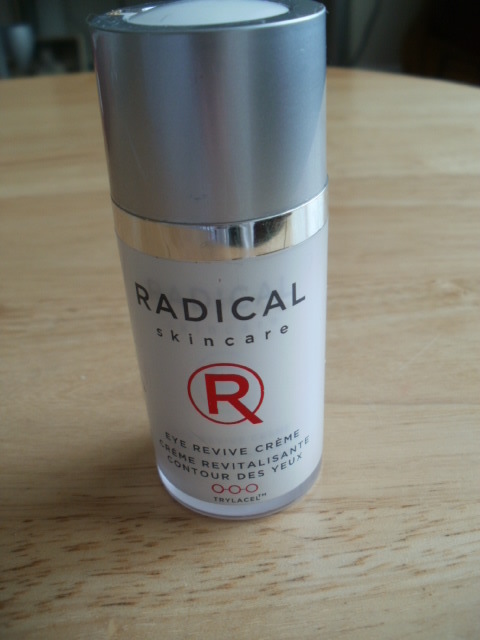 Have you tried any Radical products yet? If so what did you think of them? I am blown away with how light but extremely effective this product is and how it tightens and makes my whole eye area look so much younger! This entry was posted in Beauty, Cosmetic, Cosmetics, Eye Cream, Health and Beauty, Skincare and tagged antioxidants, Brightening, dark circles, Dotoxifies, Feel Unique, Green Coffee, Malachite, Not tested on Animals, Performance Active, protects, Radiance Enhancing, Radical Eye Revive Cream, Radical Skincare, Swiss Apple Stem Cells, tightens, wrinkles on May 17, 2015 by the40somethingbeautyblogger. We really love our skincare Susan!It really shows so well on your skin too. It is a well put together piece of kit :-). I really need a good eye cream. I have noticed how tired I am looking recently.